Nowadays, many companies are closed source ones. They only deal with their own products and their services are compatible with their own products alone. Although this can help them focus on more innovations in their own products, it can create huge problems for the customers looking to get something done by linking the devices with those from another company. In the same case, although an open structure requires more work and more time to implement without fault, it is of great use to customers. Here at Setplex we value customer satisfaction above anything else. That is why nearly all of our services are open sourced. Our customers have the freedom to integrate our products and services with a huge number of other software and hardware from other companies that utilizes different technology. 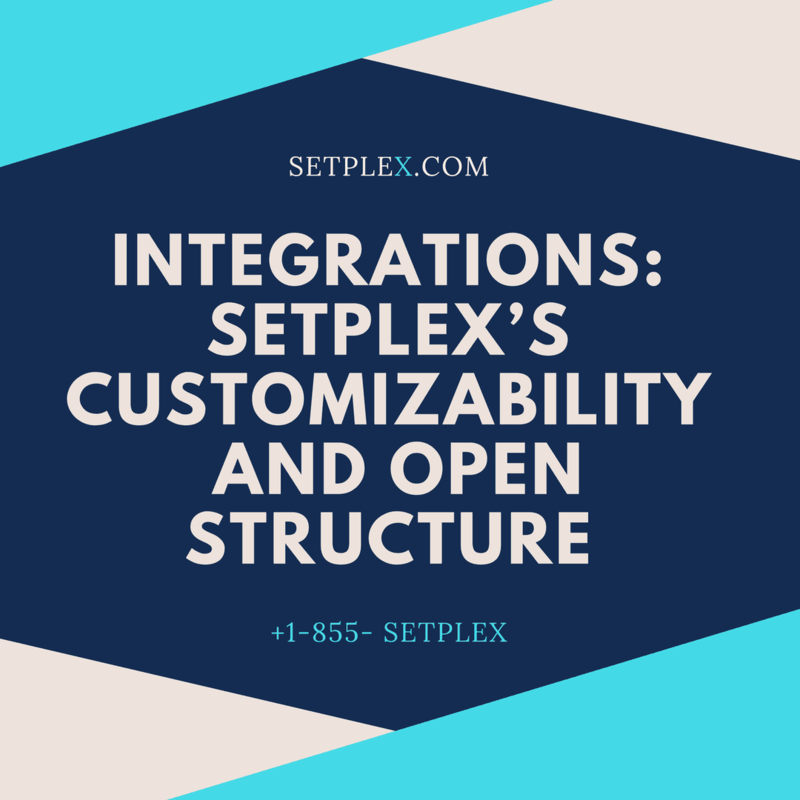 With a customizability offered by Setplex, customers are bound to experience a far greater sense of surety and ease with working. Our ability of integration does not merely extend to linking with other technologies. Instead, we offer a huge number of payment methods as well. Our payment methods extend from normal and traditional methods to online ones as well. One of our trusted online payment client happens to be authorize.net. With so many different payment options, we attempt to give our customers a better experience with us and try to ease their interaction with us as much as possible. Along with payment, we offer a huge amount of set top box software integration as well. Our clients can experience a full range of services through our set top boxes, with no need to try different boxes for different services. In our set top boxes, we have integrated Airties, Dune HD, InfoMir, Amino, Android and many more. With such a huge amount of integrations, our clients will never feel that they might be missing out on a different experience. Every single experience is right there in their hands if they use Setplex’s set top boxes. Moreover, we strive to be as customizable and as open as possible. Therefore, we offer operator integration right into the middleware of our products. With such a feature, nearly any kind of set top box service, from all other companies, is available to you at the price of just one. It is a feature crafted so that customers can be at the utmost ease while customizing their set top boxes according to their preferences. With such customizability, and a huge amount of effort going in to make Setplex’s products available for all kinds of use, we have made a product that fits the needs of any customer. It is the perfect IPTV solution currently available in the market. Not only does it have great quality, but it also has fantastic features that allow it to be used in a number of fashions. This is a great post with lots of information. This is a great post, as always. I am SO enjoying this blog. You are the best!